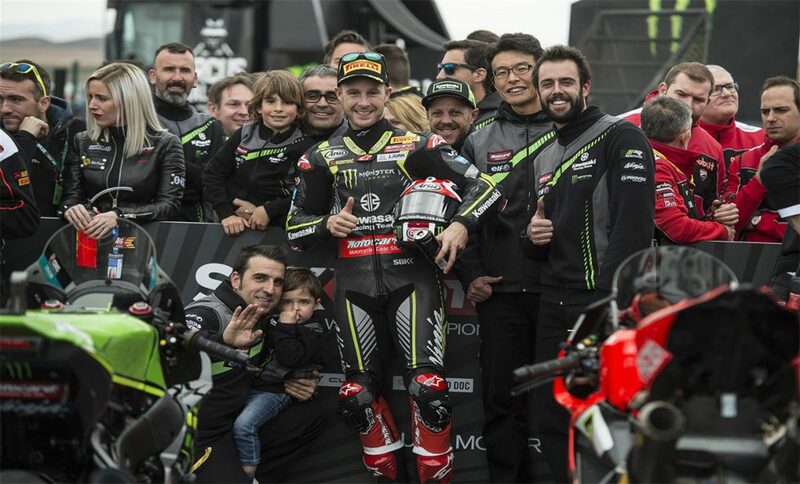 Jonathan Rea (KRT) demonstrated all his race craft and experience to win his second race of the season from a front row grid position in a restarted WorldSBK race, finally heading off a battling group of Ducati riders. Front row qualifier Tom Sykes (KRT) could not translate his strong pace into passing opportunities and slipped from fourth to seventh, before recovering a place on the final lap to finish sixth. Despite a relative lack of top end power, because of limits on the maximum revs allowed under the new 2018 technical regulations, Rea found that constant improvements to his set-up through the practice sessions, and a wise tyre choice for the cool track conditions, allowed him to break the sometimes strong challenge of others and win by 1.450 seconds. The planned 18-lap race was stopped after a few laps, after a three rider collision, making the eventual 17-lap restart a nervous time for all. Rea led for 13 of the 17 laps, but most crucially at the end. He upped his pace with a clear track ahead and takes a 14 point championship lead into race two, on Sunday 15th April. Sykes was also well in contention in the early laps of Saturday’s race but the combination of not quite enough corner exit acceleration to overtake, and other riders holding him up in the corners, saw him drop back from the leading group. He still pushed all the way to the flag for a top six finish and ten more valuable championship points. Sykes will now look to find a set-up and a strategy to overcome his first day issues and get into contention for a podium finish on Sunday at the 5.077km circuit in Spain, when significantly warmer weather conditions than today are expected to arrive.